"As an eye care professional, I love being able to recommend a contact lens solution and eye drops that are both safe and cruelty-free. The market is flooded with eye care products that are tested on animals. Clear Conscience has proven that inhumane animal testing is not necessary for FDA approval, and their formulas are highly effective. 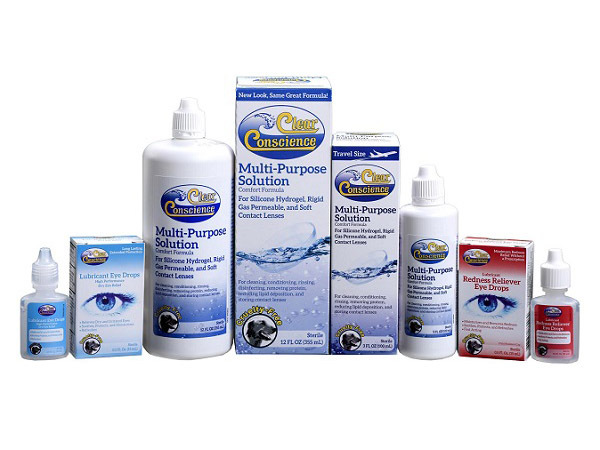 I support Clear Conscience as the leader in quality, cruelty-free eye care products." 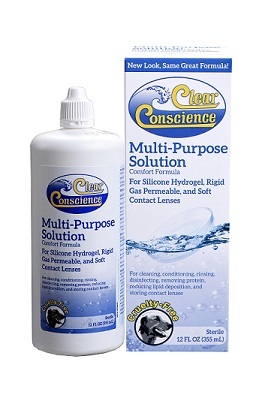 Clear Conscience, LLC was established in 1998 to provide quality, safe products for contact lenses that are cruelty-free. In 2016, the family-owned company introduced the first-ever cruelty-free “Redness Reliever Eye Drops” and “Lubricant Eye Drops" - for people that do not wear contact lenses. Company policy ensures that all suppliers are also committed to product safety testing without the use of animals. 10% of all proceeds are donated to non-profit animal welfare organizations. 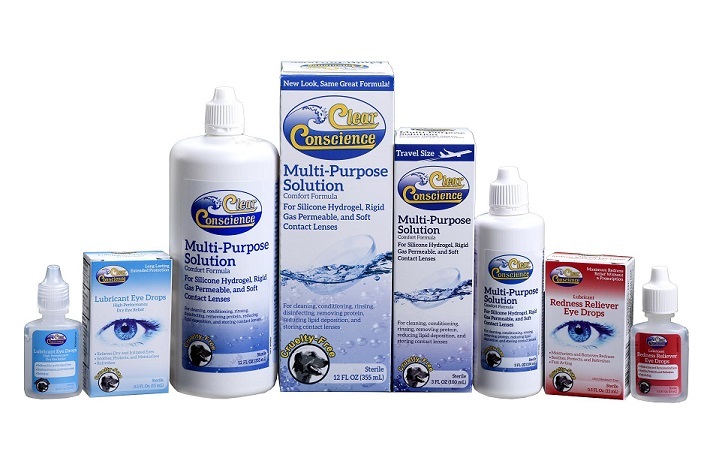 Clear Conscience contact lens solution and eye drops are available in select health food and natural product stores nationwide. Products may also be purchased direct on-line or by calling 800-595-9592. 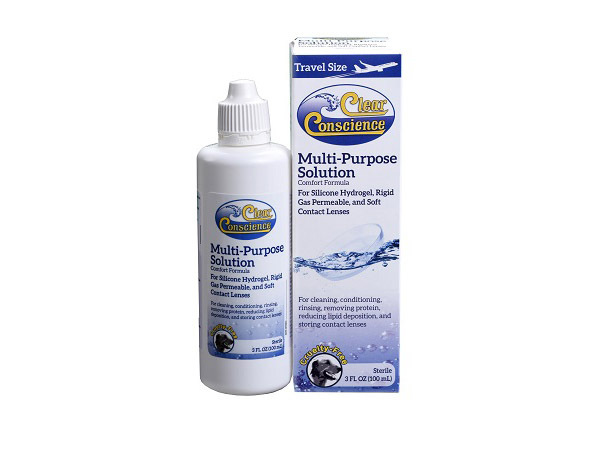 For Clean, Clear Contact Lenses and a Clear Conscience. Finally, a Multi-Purpose Contact Lens Solution that is cruelty-free, thimerosal-free, chlorhexidine-free, FDA approved, and sterilized by filtration without the use of radiation. Packaged in 12 oz. (355 ml) regular size and 3 oz. (100 ml) travel size recyclable spill-proof plastic bottles. 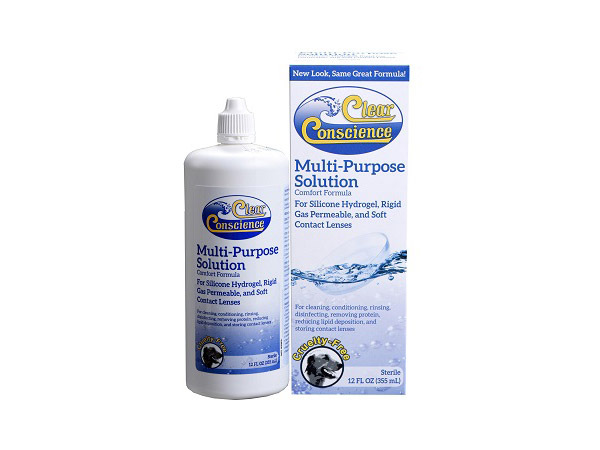 Clear Conscience Multi-Purpose Contact Lens Solution is a sterile, isotonic solution for daily cleaning, rinsing, disinfecting, removing protein, and storing ALL types of contact lenses, including soft (hydrophilic) contact lenses (including silicone hydrogels), as well as rigid gas permeable (RGP) lenses. 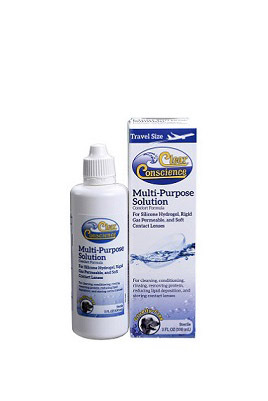 Clear Conscience Solution is specially formulated for sensitive eyes, contains a lubricant to help prevent contact lenses from drying out, and contains poloxamer, sodium phosphate buffer, sodium chloride and disodium edetate; preserved with polyhexanide 0.0001%. 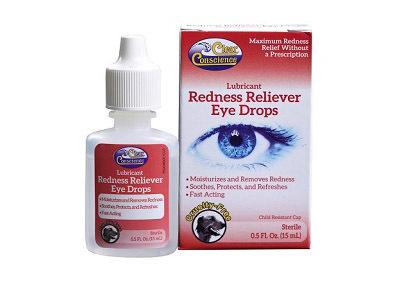 Maximum Redness Relief Without a Prescription. 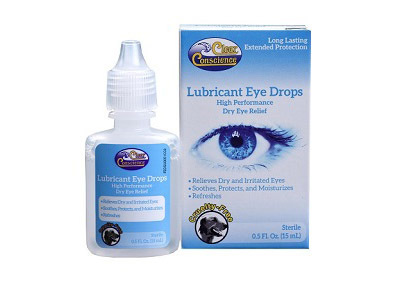 Lubricant Eye Drops are not available at this time, as Clear Conscience is no longer able to obtain all of the ingredients from a certified cruelty-free supplier. Our product line for 2016!